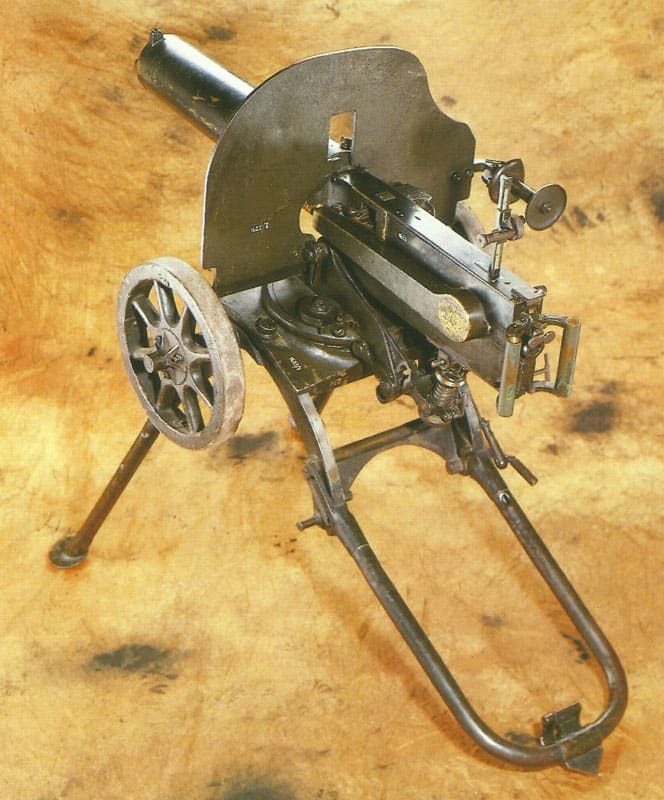 Originally built by Vickers for the Russian army, the Maxim machine-gun was soon being manufactured in the Imperial Arsenal of Tula, mainly unchanged until 1943. Britain: Death of Sir Hiram Maxim, 1889 inventor of modern machine gun, aged 76, London. Germany: 9 RNAS bombers raid Dillingen air works and shoot down a German fighter near Trier (and on December 27). Arabia – First bombing of Hejaz Railway: 2 RFC Martinsydes from Sinai cause only slight damage to targets north of Maan. Russia: Prime Minster and Foreign Minister Stuermer resigns. Trepov succeeds. Greece: Admiral Fournet demands 10 mountain batteries by December 1, sees King on November 26.